With spring upon us, it’s time for the yearly spring clean. 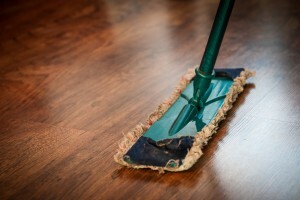 To ensure you make the most of your home, consider these spring cleaning tips. There is absolutely no denying the power of regular maintenance and housecleaning to keep your home looking tidy. Throughout the year, however, a combination of items such as junk or personal effects will accumulate to a point where your regular cleaning is barely keeping up. This is where a thorough spring clean comes in to give families and homes a fresh start. During your spring clean, it’s important that you pay attention to areas which you usually wouldn’t during your regular clean, to ensure you perform a thorough task and get the most out of your time. Archer Cleaning & Restoration Services has prepared some information on some of those very areas. The first tip on the list is to start with the outside. Why? Because the majority of homeowners barely pay the exterior of their home any attention, causing it to become dirty and damaged. Before you start cleaning inside, take a tour of your home’s exterior and identify any areas which could benefit from some cleaning attention. This could range from cleaning out a clogged downpipe to simply rinsing down the exterior of your home with a hose. Whatever needs to be done to keep your home looking good and in good shape, now is the time. Taking care of your home's exerior is a great way to not only .keep a good home but also to prevent small maintenance items from becoming large problems. It’s fair to say that nobody likes to move heavy furniture, which often leaves most homeowners to simply vacuum and clean around large items, like entertainment units, refrigerators, and display cases. This spring clean, be sure to move these items completely so that you can thoroughly clean the space underneath and around it. 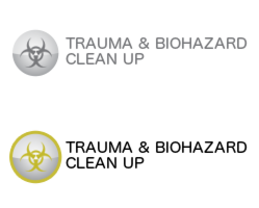 In addition to helping make your clean as thorough as possible, it provides you with the opportunity to identify any damage. For example, if a pipe was leaking and causing damage to the wall behind your entertainment unit, you may not notice it unless you were to move the item during your spring clean. The same goes for your refrigerator which, if moisture is allowed to build up, can cause mold to grow on your walls. If you notice excessive mold growth or any other type of property damage during your clean, especially behind large furniture items, be sure to speak with a professional before attempting to work yourself. Call Archer Cleaning & Restoration Services at 888-436-3499 and trust in their expert experience and advice. Whether you have a range of movable air conditioning units or a fully ducted climate control system, it’s important that these items receive your attention this spring clean. 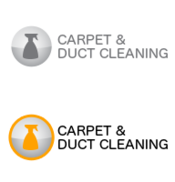 The reasons why these areas are so important is because they are not in the line of sight and can often accumulate grime and debris which can affect the air quality in your home. During this year’s spring clean, perform a thorough clean of your vents. This could include removing your covers and grills and using your long-nose vacuum cleaner attachment to reach inside the vent and remove as much dust as possible. If you only have smaller movable air conditioners, be sure to thoroughly clean their fan blades, filters, and empty any catchment areas. The final tip relates to your cabinets and, in particular, dark spaces in your home. These space can include your laundry cabinets where you store your cleaning items or your kitchen cabinets where you keep your larger cooking items. The reason why these spaces need your attention is due to their potential for mold growth. A combination of darkness and the steam and residue which comes from the items stored can cause serious mold problems which can often go unnoticed for a long time. Identifying this early can not only make it easier to clean but being aware of it will help you to prevent it. 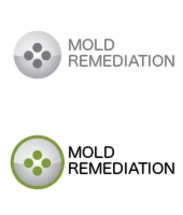 If you identify any large mold growth or damage to your home during your spring clean, be sure to speak with a professional who can help. Call Archer Cleaning & Restoration Services at 888-436-3499 and request their attendance. While it can be tempting to perform the work yourself as a DIY task, when it comes to home restoration services, attempting the work yourself can be dangerous and cause more problems and damage. Instead, speak with a professional first and consider their expert advice.